* Professional range of jig heads, made with Mustad jig hooks – the best in the world. * Revolutionary policeramic BK1 BenchKote™ coating. B) X5MoTi19 with addition of molybdenum and titanium (other series). * A range of light to heavy jig heads, made on 1X-strong wire hooks. 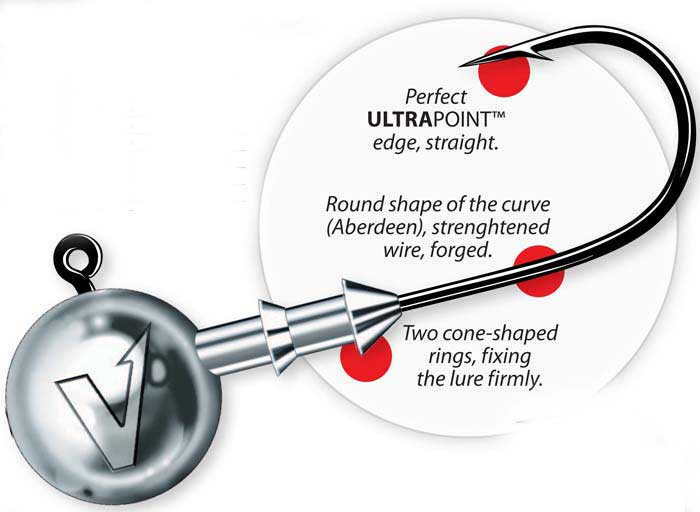 * The O’Shaugnessy shape of the curve with partly forged wire makes these hooks a right choice for anglers which like to use smaller lures but expect a bite from big predators. 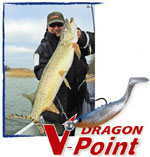 Follow the link to buy your V-Point Jig Heads Today. Follow the link for a bigger range of Jig Heads. Follow the link for a range of Complete Bass Fishing Jigs.